Iran is a land of stunning landscapes, endless skies, barren deserts, rugged mountains and spectacular wildlife. Iran desert tours and desert safari explores some of the most remote areas of this fascinating land — areas rarely explored by others, making this a true journey of discovery. If you are fan of adventurous tours, Iranian desert tours would be a good suggestion for you. Iran desert trip can take place in different destinations such as: Semnan, Kerman, Sistan and Baluchistan, Isfahan, Yazd and Khorasan provinces. 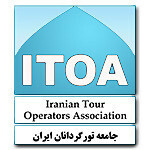 So you can have different Iran tours which are along Iranian desert tours. Iranian desert tours offer you different exciting activities, like; desert safari, quad biking, sand boarding, camel riding, star gazing and etc. All and all Iran desert trip is a genuine experience at the heart of remnant of prehistoric time for every type of tourists. They can find out their appealing desert in map of Iran and send inquiry to us to operate them a tour with their desired itinerary and destination. 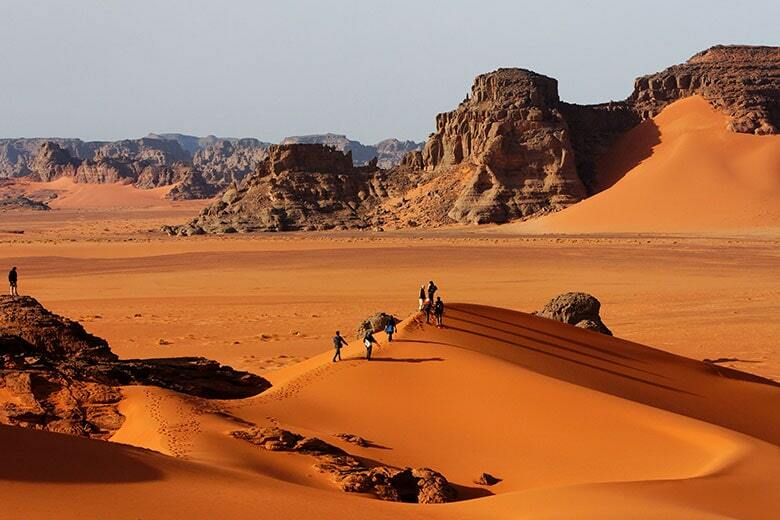 If you plan to travel to Iran, you can have an exploration of remnant of prehistoric time by Iran desert trekking. In this tour you go at the heart of the desert with the sense of adventure but It should be mentioned that Iran travel guide, map of Iran, desert map and GPS are indeed for Iranian desert tours to prevent from getting lost and other dangers. One of the exciting parts of Iran desert trekking is having desert village tour beside trekking that you can combine it with your appealing desert activities. Iran as a 4-seasons country with vast different habitats, comprises wide deserts. Iran desert area is about 25 percent of total area of Iran. By the passage of time Iran desert area have been became one of the major attractions for tourists that offer them different and exciting activities. Specially for astronomers and stargazers who are interested in star gazing Iranian desert tours would be a good choice. 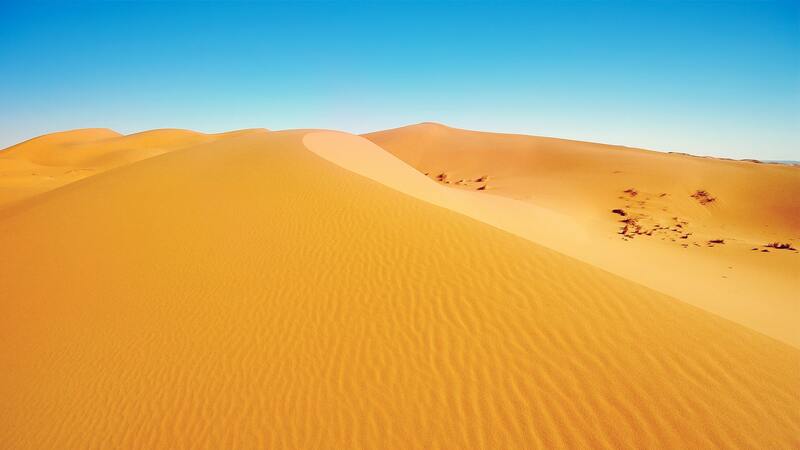 Cold desert climates (BWk) usually feature hot (or warm in a few instances), dry summers; though summers are not typically as hot as hot desert climates. Unlike hot desert climates, cold desert climates tend to feature cold, dry winters. Snow tends to be rare in regions with this climate. The Iranian cold desert is famous for its marshes and seasonal lakes due to the run off from nearby mountains. Sand storm is very common in this area and can form mound that reach up to 40 meters in height. 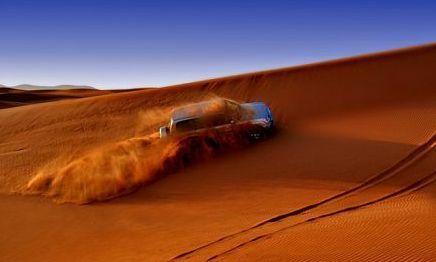 An astonishing adventure in the heart of one of the World Heritage Sites can be led in Lut desert tour. Lut desert is located in south-east of the country and it’s the hottest area on earth. 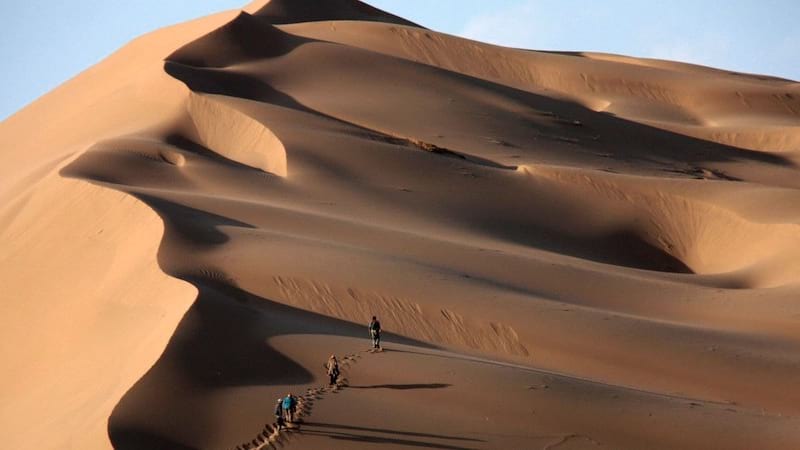 Lut desert tour offers you the opportunity to trek through extensive stony deserts and dune fields and experience of breathtaking landscapes of kaluts. Getting away from city and spend a night in desert and watch sunset over the kaluts would be a great experience for everyone. One of the most beautiful deserts of Iran would be Maranjab desert, that you can find both a sand lake and sand dunes together in a close rage. which other desert have only the sand dunes and a far distance of 3-4 hours should be driven to get to the Salt Lake. Maranjab Desert Tour Isfahan offers you the opportunity to visit the spectacular landscape of Wanderer Island. 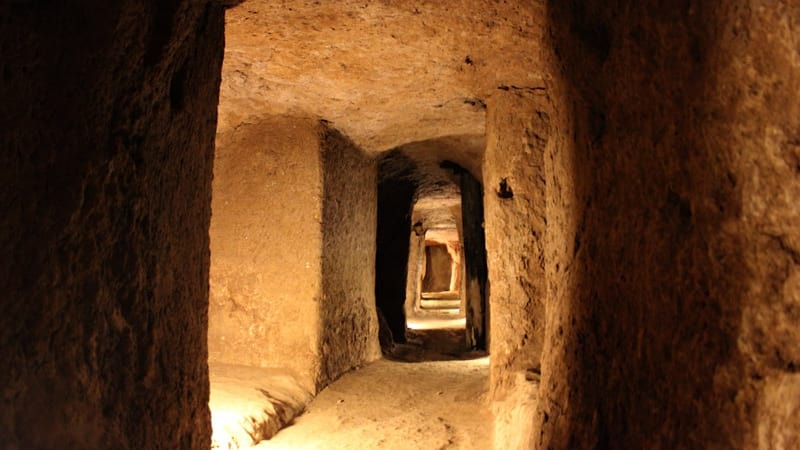 If you have Isfahan travel guide for this desert tour you won’t lose Maranjab Caravanserai which is located on the Silk Road as one the attraction of this desert. Yazd is a city that is mostly known for its stunning architecture but there is a hidden splendor of the desert near this city. Bafgh Desert Yazd is will take you for a great adventure among dunes. 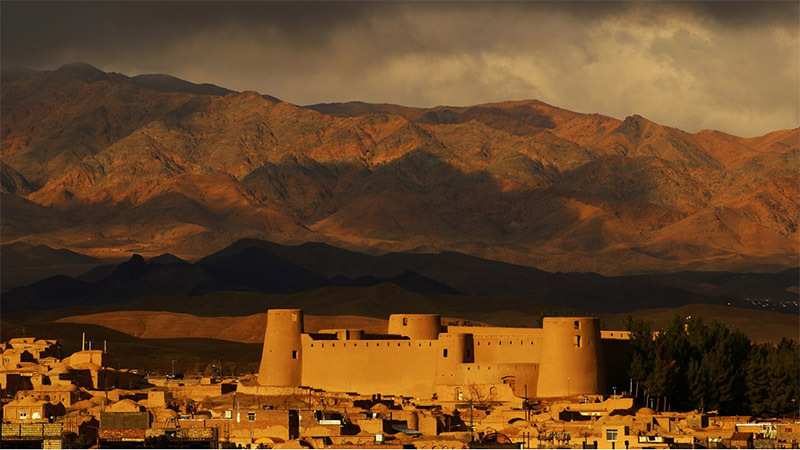 If you have tailor made tour Iran for Bafgh desert Yazd, you can spend a night in an eco-lodge with all the basic needs that gives you a completely different experience in Iran desert trip. Eastern Iran is overshadowed by two huge deserts. In the middle of one of them – the Dasht-e Kavir – lies a gigantic and desolate place dominated by enormous sand dunes. 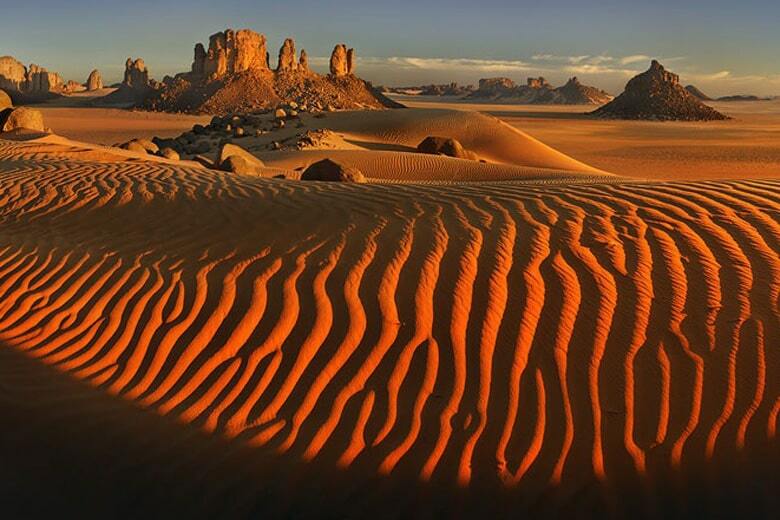 This place is called Rig-e Jenn Desert Iran, which translates to “Dune of the Jinn”. A “jinn” is a spirit in Islamic culture and this place was once (and in some places still) believed to accommodate evil spirits. You can’t go to Iran desert trip to Rig-e Jenn Desert Iran by yourself. It’s in the middle of nowhere and the only way to access it is through harsh terrain with no roads and no telephone coverage. One of the Iranian desert tours could be held in Namak Lake Qom. 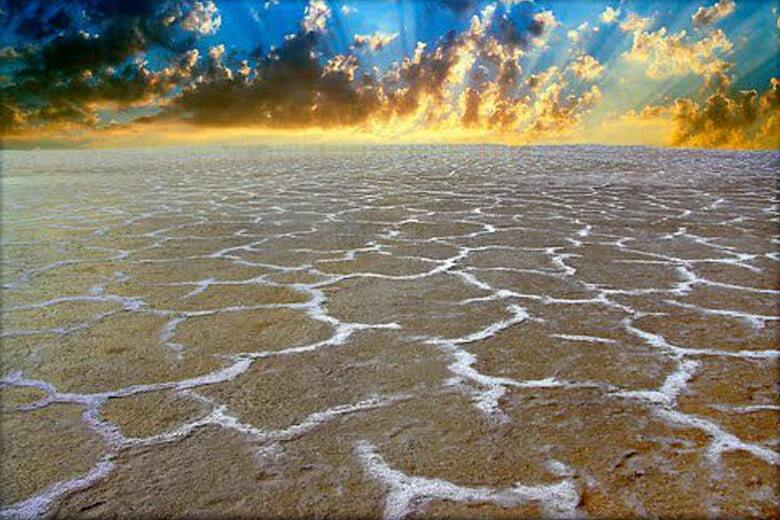 It is a part of Iran Salt desert which is located in the East of Qom. Namak Lake Qom contains water only in the winter months, whereas in summer a crust of salt attracts attention. Due to different climates in the central plateau the climate and the depth of the lake is always changing. 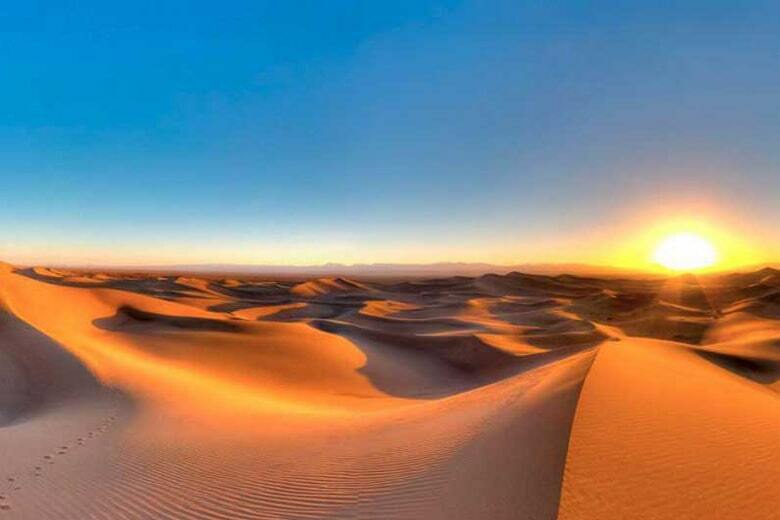 One of the unknown places which is located in the east west of Iran is called Lut desert. 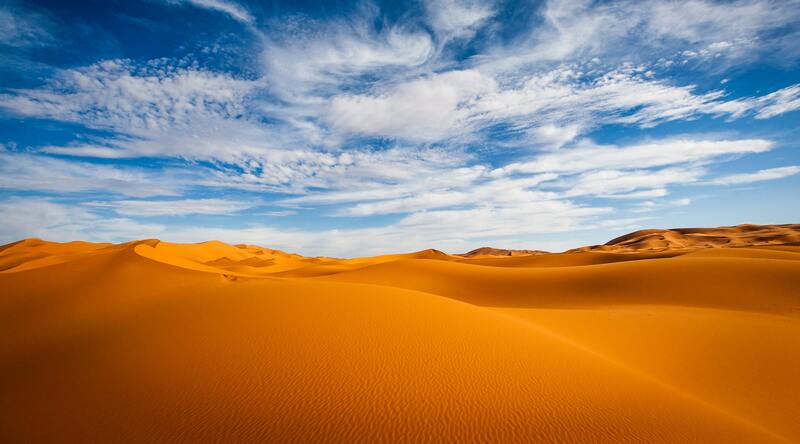 The size of this desert is estimated about 900km from north to south and 300km from west to east. 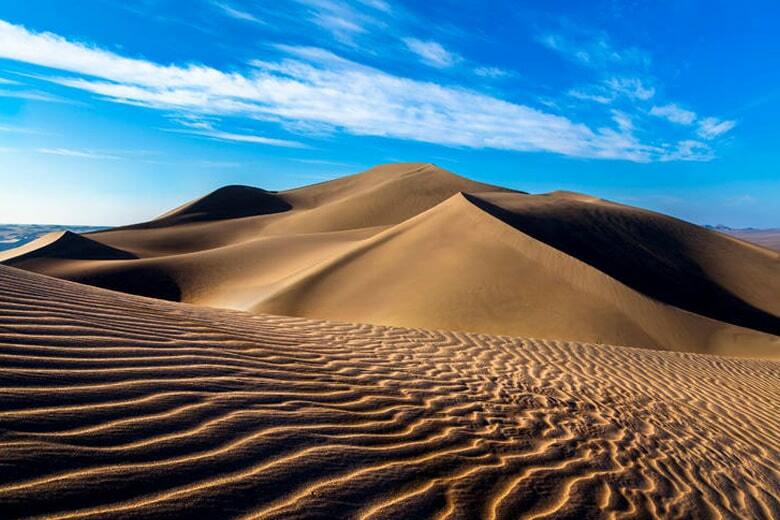 The widest desert of Iran is called Dashe-t Kavir which extends from southern slopes of Alborz to the center of Iran. The length of it is 800km and the width is 600km. Vast swamps have encompassed a big part of it and in borders, you can see sand dunes and scattered heights. In the middle of Dasht-e Kavir lies a vast and desolate place dominated by enormous sand dunes. 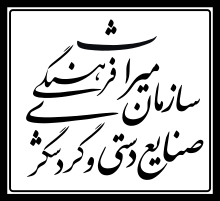 The existence of a strong wind from west to east makes hills with steep slopes in the east part and hills with gentle slopes in the west. Maranjab desert (Masileh playa); is located in the western border of Dasht-e Kavir and in center of Iran which looks like a square. Mesr is the name of an Iranian village in the heart of Dasht-e Kavir, close to city of Naein which is well-known for agricultural production in the area. On the road to Mesr desert, you will see three eye-catching spots. The first one which shows up is Amirabad, Jandagh and Farahzad are second and third. In order to see Shahdad Desert you have to pass Kerman City and the green Mahan city and the flourish village of Sirch. This flourished village is in the heart of the largest desert in Iran. There is even snow during some winters which is magical to have a snow white village in the middle of a hot desert. Among geologist, Shahdad village is known to be the hot pole of the Earth.